I had two years to prepare for my sister’s wedding in Australia. The plane tickets were booked back in February and I was under the assumption that I had all the information I needed. Why, with cell phones and the Internet, how is anyone to get lost these days? The missing link here was that I neglected to initiate foreign cell service and assumed every airport would have free wireless Internet. The last we had heard from my dad was that he’d call us with instructions when we landed in Brisbane. He told this to my girlfriend on the plane in LA before we took off. She relayed the message to me after I woke up from a nap a few hours later. By then we were in mid air and there was no turning back. While schlepping through almost two hours of customs and a grueling baggage check after our 14 hour flight, my girlfriend kept hounding me about where we were going and how we were getting there. “I’ll figure it out,” I replied in typical male fashion. The truth was I had absolutely no clue as to what we were supposed to do once we finished having our bags x-rayed by Nigel and the Islander. It was finally time to leave the Brisbane airport. We walked through the homestretch and into the lobby where dozens of other people’s friends and relatives stared at us like paparazzi salivating for its next prey. I did not have a cellular telephone. I did not have Internet. “What are we supposed to do now?” inquired my girlfriend. “Payphones!” I almost did the Macarena over to them I was so ecstatic. 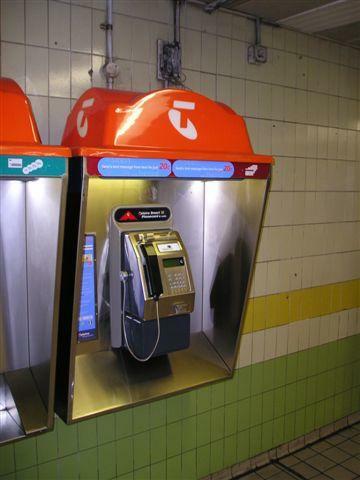 Up until a decade ago, payphones were the only practical method of communication with others from outside of the house. Cell phones were abnormally large and expensive and nobody owned them except for the rich and famous. Pagers were for doctors and drug dealers and only notified you when it was your turn to call, which usually meant you had to find a payphone to do the deed anyway. There are no telegraph stations anymore and carrier pigeons have become sincerely unreliable. Obviously I was out of range for smoke signals and Semaphore code. 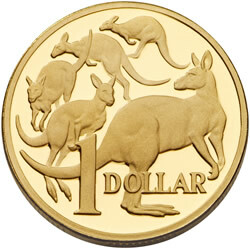 Realizing I was devoid of Australian coins, I had to head to the currency exchange booth, which traded my American $20 piece of paper for $13 in Australian metal. Aside from the preposterous exchange fee, our dollar really is taking a walloping. Tears were shed back in LA when we exchanged $450 US dollars for $375 Australian dollars. I have a theory that the USA was built in China many years ago and shipped over surreptitiously. Screw Pangaea. Moving on, I tossed a few Queens and a Kangaroo into the corroded slot, picked up the greasy receiver, which was probably decorated with a few foreign diseases, and proceeded to call my mom’s cheap Australian phone that she bought when she came over. I couldn’t call my dad’s phone because he kept his USA number over there. The sad part of this whole affair was that I never heard anything aside from a dial tone the entire time. The damn payphone ate my money! This classic phenomenon was formerly commonplace among people who gambled with public telephones. There was always a chance that the machine would gobble your hard earned metal, and this was one of those chances. Frustrated beyond comprehension, I marched up to the local bus and train desk and asked to use their phone. I called my mom, got the address to my future mother-in-law’s house, wrote it down using a stick filled with ink and bleached sheet from a tree and took a taxi over there. Progress. Now we could pick up a vehicle to head to the wedding. When all else fails, someone somewhere will have some sort of phone and the nice ones will let you use it. Heading out to the wedding in Byron Bay was another story, however. My sister had lent me her car, a maroon Peugeot she named Perry. Perry had been through a lot, and it showed. His façade revealed a few busted teeth from the time my sister inadvertently ran over a pedestrian in downtown Brisbane. Perry also exhibited a car length key stripe and various dents from a myriad of minor traffic expeditions. Perry’s gauges also didn’t work and we didn’t have a GPS system. So here we are driving on the left-hand side of the road for the first time without knowing how many kilometers-per-hour we’re traveling, how much gas is in the tank, or where we’re headed for that matter. At least the power windows worked, which we used to roll down and ask people in their cars just where the hell we were. 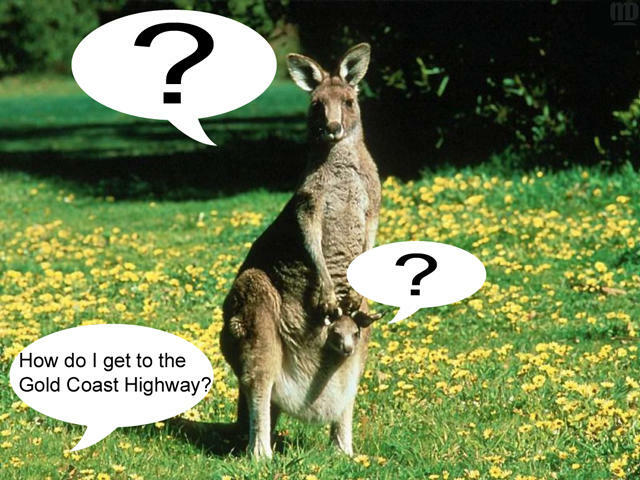 After rounding the same neighborhoods and executing several U-turns, we made it onto the Gold Coast Highway, though we weren’t sure if we were even headed in the right direction. So I stopped at a gas station. Gas stations have long been the old standby for bewildered, befuddled and clueless individuals who lack a keen sense on their global positioning. After pouring $45 in Perry to fill half his tank, I asked the gasman what the meaning of life was. Progress. Night blanketed the scenic Gold Coast as I crested the outskirts of Byron Bay. But there were no signs indicating what exit to take. So I gambled and took one exit too far, which led to winding back roads. I swerved away from a momma Brushtail Possum with her little baby on her back and eventually made it back to the highway by pulling a K turn in the dead of the Bush. 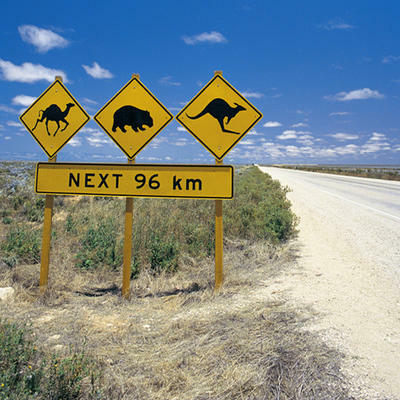 All I could think of was a giant 15-foot tall Huntsman spider scurrying out into the middle of the road and gobbling Perry and its contents whole. It was getting late. By a stroke of dumb luck, I found myself back on the Gold Coast Highway. I took the first exit I saw, which featured a “Byron Bay 15Kms” sign at the end of the road, which was synonymous with the stairway to Heaven to me at this point in the journey. After more washboard spaghetti string roads, I pulled into the quaint little town of Byron Bay. My girlfriend woke up from her nap and asked where we were headed to now. You see, the house we were staying in was over by Watego’s Beach. I didn’t know this at the time. My mom was staying downtown. She told us to stop by before we headed to the house to get directions. Not knowing where anything was, I had to ask a taxi driver where the Byron Central Apartments were and proceeded to drive around aimlessly after misinterpreting his directions. 20 minutes later we stumbled upon the Byron Central Apartments. Since my mom had given us insufficient information, we didn’t know what room number her and her boyfriend were located at. She also failed to mention that the apartment gate is locked at night. So I had to push the red button and call the off-duty apartment man who told us we could sneak in through the back gate, which is usually open. We tried every side of the premises, but only ended up in the garbage pen. I also stumbled over a homeless man behind a dumpster in a back alley. Then my girlfriend started to cry. While consoling her, we got back in the car and drove into town. Payphones! I scrounged up every Queen, Kangaroo and Platypus I had and loaded them into the dingy talking machine and called my mom’s cheap Australian cell phone. My mom’s boyfriend answered and there was some sort of miscommunication where he thought we were still in Brisbane before the phone automatically hung up because I neglected to put in more Queens, Kangaroos and Platypus 3.2 seconds after the warning beep. It was not getting any earlier. Delirious, we hopped in the car and I started to look for people we knew in a town that resembled the boarded up “Hell” in High Plains Drifter. The taxi driver and homeless man were the only forms of life we found. My girlfriend began to cry again and I spotted another batch of payphones. Payphones! This time my girlfriend asked me to call my sister, who might have the address to the house. We pulled into Woolworth’s. I got out and began nourishing the talking machine with Queens, Kangaroos and Platypus. Pick up, pick up! “You’re an idiot.” It was a line I’d heard hundreds of thousands of times growing up with her. “We don’t smoke,” she said. She disintegrated into the night while my girlfriend began to cry again and locked herself inside Perry. I called my sister back, who gave me the directions while I used the ink stick to record them on a bleached sheet from a tree. Progress. I drove aimlessly on Brownell, looking for number 53 and finally found it after two U-turns. I pulled Perry into the almost vertical driveway, threw the old boy in Park and he began to roll backwards into the street. My girlfriend screamed while I jammed the parking brake on. I cried this time. Let this be a lesson to those who are considering traveling abroad without any form of cellular, wireless or satellite-based communication device in the year 2011.